PECO recently put its smart meter installation on hold after several devices overheated and one caught fire. Although the flames were put out weeks ago, the response from officials is still smoldering. PECO, an Exelon company that works across the greater Philadelphia area, has sparked the concern of Maryland’s Public Service Commission (PSC), which will hold a hearing on Tuesday with Baltimore Gas & Electric, Pepco, Delmarva Power and Light and Southern Maryland Electric Cooperative to discuss their smart meter installations and assess concerns pertaining to overheating issues, according to the Baltimore Sun. The hearing appears to be preemptive, but given the uproar over a very small amount of malfunctions, it is in the PSC’s -- and the utilities’ -- best interest to bring facts and clarity to the technical issue of installing smart meters at homes, some of which probably haven’t had any electrical repairs or upkeep work done in decades. Erring on the side of caution is not just a nice idea -- it is a necessity for utilities that are trying to build better, more trusting relationships with their customers. The problem is a serious one, but it is often presented out of context. Local TV news stations seem to love nothing more than an angry homeowner railing against the area's utility. CenterPoint, which has installed more than two million meters in Texas, is also facing a complaint from one woman who says her home was destroyed by a fire caused by a smart meter. Read more below about the PECO story and what it could mean for other utilities. PECO has halted its smart grid installation as of Wednesday. The smart meter installation has been stopped because of overheating in about 15 homes after a smart meter was installed. In one instance, there was a fire. The utility, which is owned by Exelon and covers 1.6 million electric customers across the greater Philadelphia area, has installed about 186,000 meters to date. Both the utility and the meter maker, Sensus, are putting safety first, but so far it looks like the meter itself is not to blame. The news that the meters are safe and the number of fires is small is good news for both Sensus and PECO, but it hardly alleviates the worries of wary consumers, who often hear more anti-smart meter rhetoric than they do positive information. The problem is similar to other utilities, including BC Hydro, where a few fires stoked smart meter opponents. In a recent story in the Vancouver Sun, the reporter notes that there are about 480 fires related to electrical malfunctions in homes over any given five-year period in British Columbia, and about 22 of those are related to the meter and distribution panel. 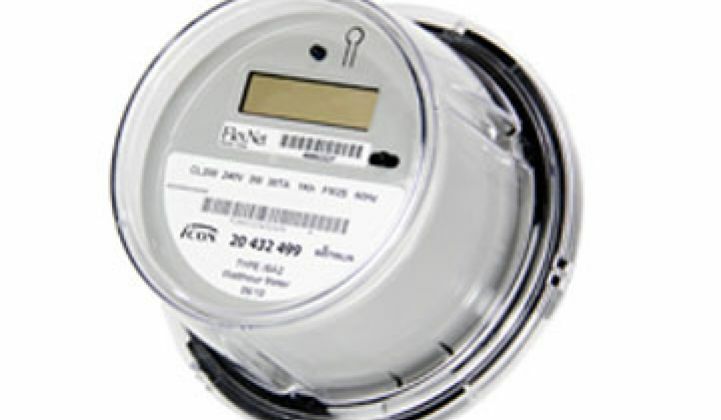 BC Hydro is using Itron meters. That is not to say that any fires resulting from new utility equipment -- in this case, a smart meter -- are acceptable. However, the risk overall, as Sensus notes, has been and remains quite small. But for opponents who claim health and safety concerns, any smart meter issue becomes ammunition. For PECO, the installation stoppage should offer the utility a chance to come up with best practices after it fully investigates any fires. Are there warning signs of faulty wiring that the utility can offer to people after their meter installation? Is there a dedicated phone number for concerned citizens? Are there certain types of homes that should have an electrical inspection before the smart meter installation? In Vancouver, the Sun reported the latter was already happening -- more than 1,000 homes where installers spotted problems were repaired by a qualified electrician before the meters were installed. PECO is aware of problems that can occur. Like BC Hydro, the utility has repaired equipment in more than 4,500 homes before installing a meter. Installers wear fireproof clothing and heavy gloves in case of a short circuit as they remove the old meter, according to the Philadelphia Inquirer. As part of the investigation, PECO is replacing some of the Sensus meters with Landis+Gyr meters to see if there are any differences in performances. As part of the full meter deployment, Landis+Gyr, Elster and Sensus were already part of the project. So far, PECO has investigated six of the 15 incidents. “The investigations we have completed so far have shown existing issues with customer equipment -- and although this is not uncommon with the experiences of other utilities across the country, the safety of our customers is paramount and we will always do everything we can to keep our customers safe,” said Cathy Engel Menendez, communications manager for PECO. All of the installed Sensus meters will get a software upgrade to automatically shut down if they overheat -- and beginning September 6, the Sensus meters will also alert PECO if an overheating issue occurs.